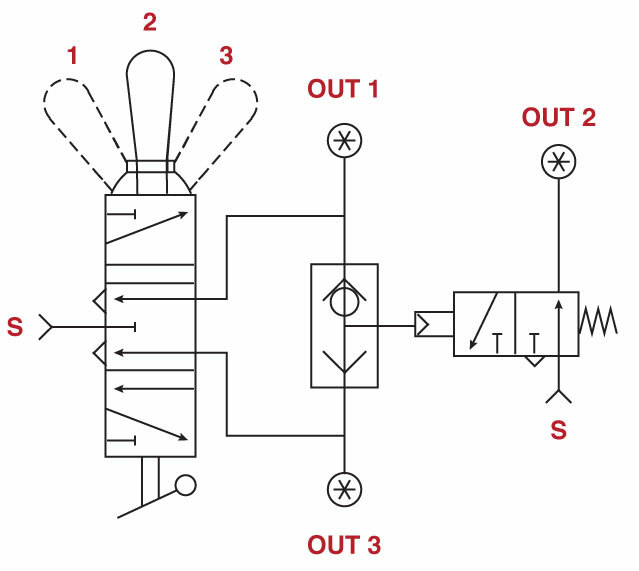 This simple pneumatic logic circuit is a nice solution for applications requiring 3 outputs with one toggle valve. 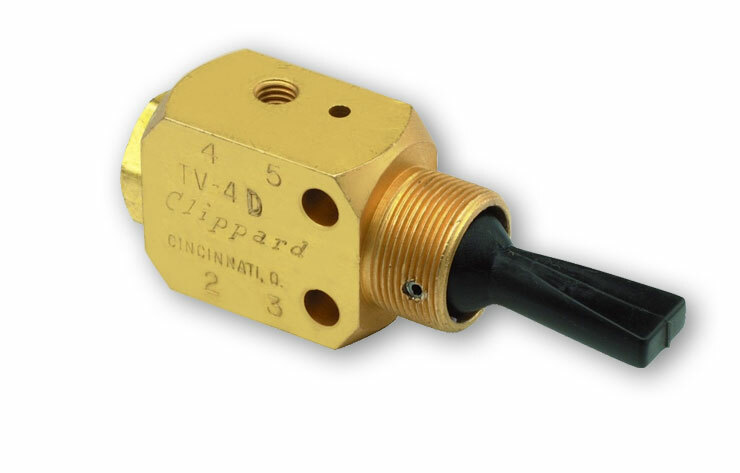 There are many multiposition selector valves on the market, but this solution from Clippard is very cost competitive and robust with an exceptionally low leak rate. 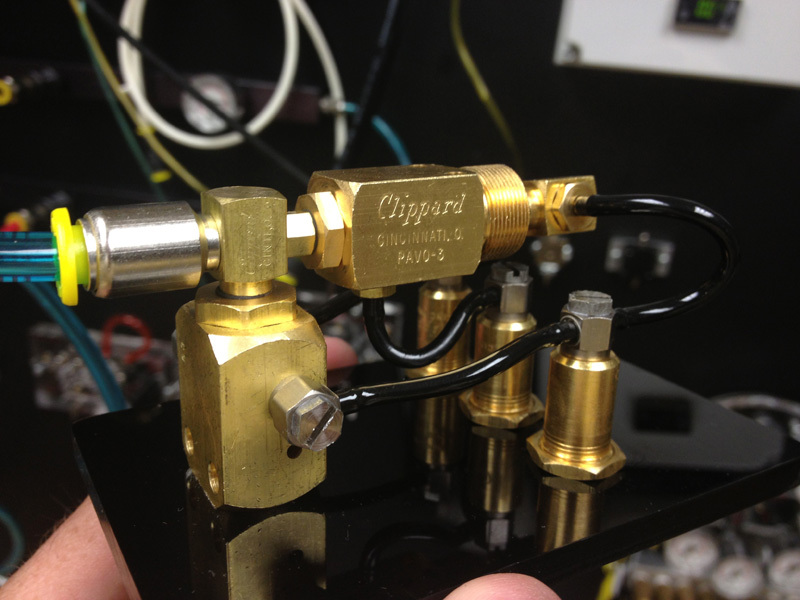 The center position of the valve gives no pilot signal to the PAVO which is normally open. The PAVO is now flowing air and giving the output for the center position of the toggle valve. In either the up or down position of the detented valve, a signal will go to the PAVO via a shuttle valve that pilots the PAVO closed. The output from the toggle up or down position is also teed off for the other 2 outlets. 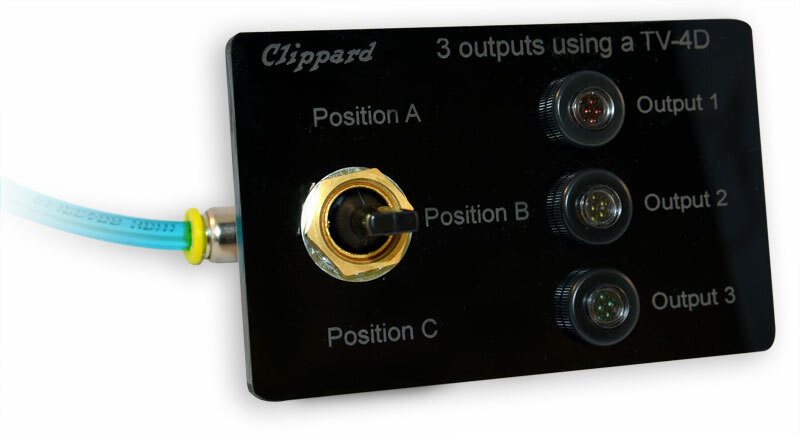 Now all three positions of the TV-4D will provide individual outlets.